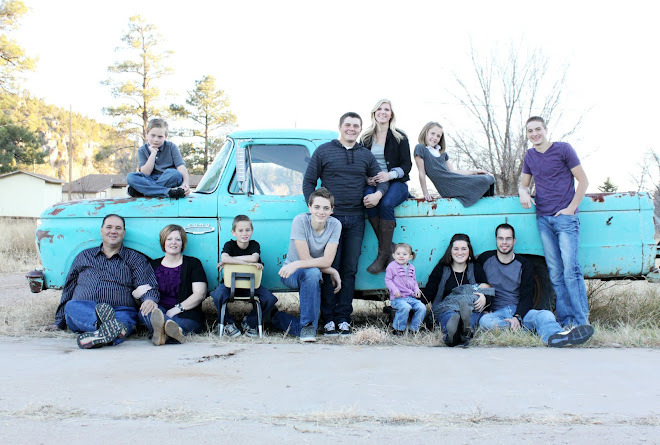 Press Forward SLADES: Aunt Val!! I am going to miss this beautiful lady. How grateful I am for her love and example. I have been blessed with amazing Aunts throughout my life and she is one of them. She truly is a virtuous woman. I have admired her for years and appreciate the things that she has taught me. When I was younger we had the opportunity to have her family live with us for a few months. I remember her always being so helpful to my mom as they lived in our home. She put herself in charge of the laundry!!! Who would volunteer to do that, especially for so many people??? She loved it and stayed up on it everyday. She was a quiet lady, I never heard her raise her voice at anyone. Oh how I wish I could be more like that:) She was constantly serving others. I was a recipient of her service many times. When we lived in Heber (the first time) I taught a singing - dancing group called Sunshine Generation. One time after a practice at the school gym I got into my car and a beautiful little girls dress and little boys vest (that matched) were hanging up in my car with a note that said "I love you and appreciate all that you do". I asked around and called different people and no one confessed to leaving it there. It was a few months later while sitting in Sacrament Mtg that my Aunt Val walked in with her family. As they shuffled into the pew I noticed that my cousin Nicole had a beautiful Christmas dress on with a sash made out of the same material as the dress and vest that was left in my car!!!! I knew right then that she was the one:) After the meeting I went up to her and gave her the biggest HUG and told her I knew she was the one who made those things for my kids. She just smiled and said "I don't know what you are talking about". She was amazing that way - always quietly giving of her time. Oh how I wish I could be more like that!!!! My Uncle Jack has been our home teacher for about 9 years now. She would faithfully come with him as his companion. They took such an interest in our kids, constantly asking about their interests and how they did in the game the night before or how they were doing in school. Oh how I wish I could be more like that!!! I admired her desire to serve the Lord. She was committed to attending the Temple every week and doing genealogy. Someday I hope to be able to do that!!!! One time in Sacrament Mtg we were sitting behind them, as we started to sing the sacrament hymn, she turned around, patted my leg and said "thank you for sitting behind me, I love hearing you sing". She made me feel so special that day!! Oh I want to be more like that!! I had the privilege and honor of making flower arrangements for her funeral. I felt a lot of stress and pressure because I wanted the flowers to be perfect. I worried and stressed over her casket spray. Who would have thought that designing flowers can strengthen your testimony. I know that Heavenly Father loves all of his children and is happy when they return home to him. I have felt his love and spirit many times as I have arranged funeral flowers. And this past weekend was no different, there was a beautiful spirit in my shop for hours on end. 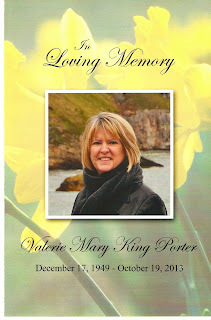 Aunt Val was with us a few times, I know, because I felt her love!!!! I am so thankful for the gospel, for the things I KNOW and for eternal families!!! Love you Aunt Val!! Ditto to EVERYTHING you said!! She is truly an amazing person!! What an awesome tribute to a great lady! All the things you said are so sweet! I'm sorry about your Aunt Val.